The 20th Anniversary Monarch Crest Crank benefiting The Alliance. Ride the Monarch Crest Trail & help victims of domestic & sexual violence in Chaffee County. 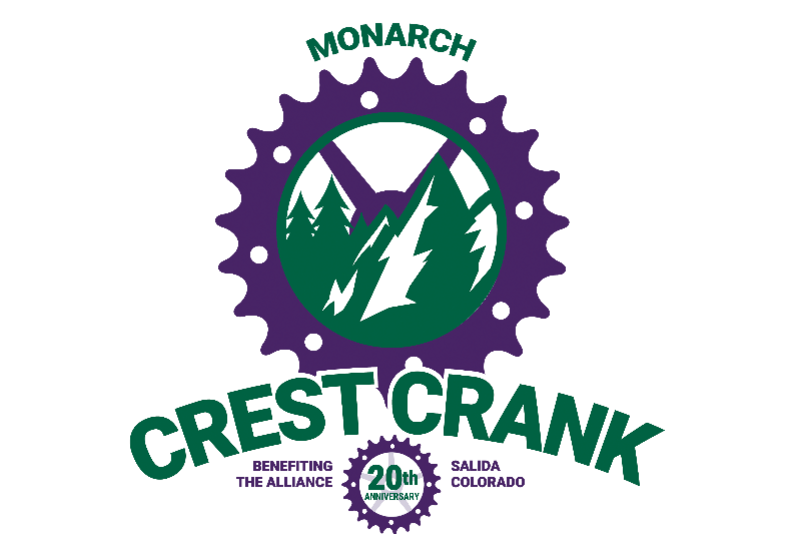 Join us for the 20th Anniversary Monarch Crest Crank on Sunday, September 16, 2018! A great ride for an even greater cause! The Monarch Crest Crank is your chance to wrap up the final day of Salida Bike Fest with one of the top mountain bike rides in the nation! We encourage everyone who registers to raise at least $100 in additional donations to benefit The Alliance. We make it easy for you to do this with our peer-to-peer fundraising page (more info below). Participants who raise over $500 in donations will be entered to win a free cruiser bike! Individual Rider - Ride one of the top mountain bike trails in the nation! Form a Team - Gather a group of friends, family members or colleagues to join forces in raising funds and participate. Peer-to-Peer - Everyone who registers as a rider or virtual rider or who donates is sent an email with instructions on how to launch your own fundraising page. It's super easy to do this (most of the content is already there for you). We even make it easy to share your fundraiser via email and social media! Donate - Contribute financially to The Alliance, a nonprofit 501 (c) (3). All donations are tax deductible and greatly appreciated! Whether you can ride the Monarch Crest Crank with us or help in other ways, we appreciate your support! The Alliance provides crisis intervention, emergency shelter, transitional and long term housing, legal advocacy, women and youth support group, community education and prevention activities for women, men and youth suffering from domestic and sexual violence in Salida, Buena Vista, Poncha Springs and related areas in Colorado. All services are free and confidential.